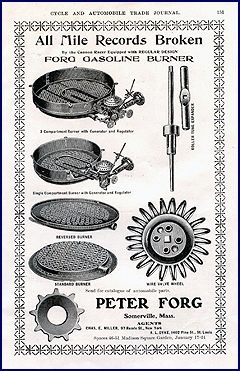 In 1881 Peter Forg opened a woodworking company catering to the furniture business. The company hand carved intricate figures and details that adorned tables and chairs. 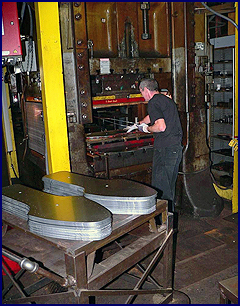 In the 1890's there was a gradual shift into metal stamping. This was the result of a growing need in the furniture, bicycle and automotive industry for metal stampings. When the automobile market started to take hold, they produced stamped parts used by the Stanley Steamer Automobile Company as well as Rolls Royce. When World War I broke out, the needs shifted to defense manufacturing. Peter Forg Mfg Co. was making trench helmets and other stamped parts and moved out of the woodworking industry completely. 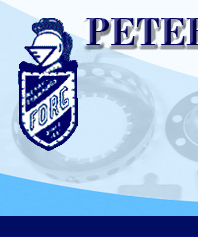 Peter Forg Mfg Company is now in its fifth generation of ownership by the Forg Family. The firm is a mature corporation with a loyal work force and a record of steady growth.